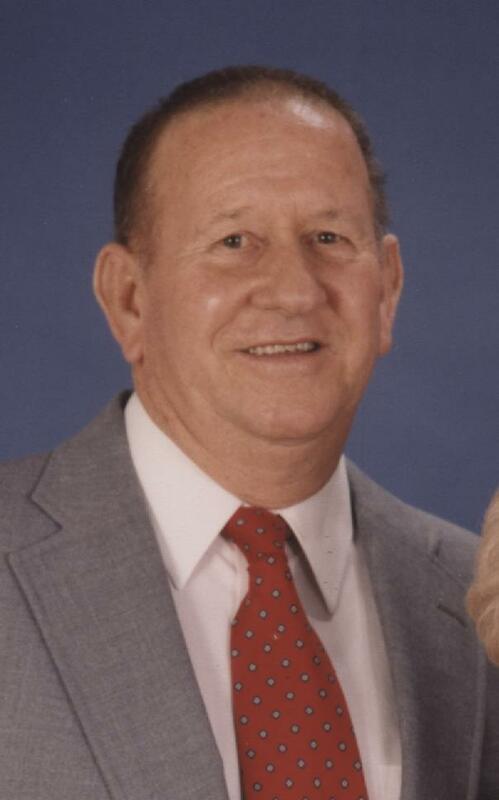 George Leland Norris, age 88, of Huntingburg, passed away at 10:15 p.m., on Saturday, August 11, 2018, at The Waters of Huntingburg. He was born October 2, 1929, in Loogootee, Indiana to Ernest and Ethel Mae (Washer) Norris; and married Ella Mae Meyer on April 19, 1947, at St. Mary’s Catholic Church in Huntingburg. George was a retired construction worker and member of Labor Local #561. He was a member of St. Mary’s Catholic Church; enjoyed bowling with friends; and was an avid gardener. He was preceded in death by his wife, Ella Mae Norris, who died June 12, 2014; one son, George Alan Norris, who died October 13, 2016; four sisters; three brothers; two grandchildren; and one great grandchild. George is survived by four children, Phyllis (John) Harder of Alfordsville, Ind., Diane (Terry) Kapp of Branchville, Ind., Lisa (Randy) Fuhrman of Huntingburg, Ind. and Kenneth (Karen) Norris of Holland, Ind. ; his daughter-in-law, Barbara Norris of Holland, Ind. ; one brother, Merle Norris of Bowling Green, Kentucky; by (9) grandchildren, (10) great grandchildren and (2) great-great grandchildren. Funeral services for George Leland Norris will be held at 10:00 a.m., E.D.T., on Friday, August 17, 2018, at St. Mary’s Catholic Church in Huntingburg with burial to follow at St. Mary’s Cemetery. The funeral Mass will be celebrated by Rev. Ryan Hilderbrand. Friends may call for visitation at the Nass & Son Funeral Home in Huntingburg from 2:00-8:00 p.m., on Thursday, August 16th. A parish rosary prayer vigil, led by Deacon Tom Holsworth, will be held at 6:30 p.m., Thursday, at the funeral home.